In the video, titled “THE PAULS RESPOND TO THE CSI FIGHT **called out**,” the entire Paul family, including patriarch Greg Paul, threatens to beat up fellow YouTuber KSI after the latter challenged them to a fight after beating another YouTuber in the boxing ring in London last week. (“I only saw a small part of it, they wore headgear, it was lame,” the eldest Paul says.) That’s only a small part of the video, though, as most of it consists of Logan wandering around his and his brothers’ large suburban houses (if you’re not convinced white privilege is real, just watch a Logan Paul video) swirling his selfie stick and pushing his line of merch. 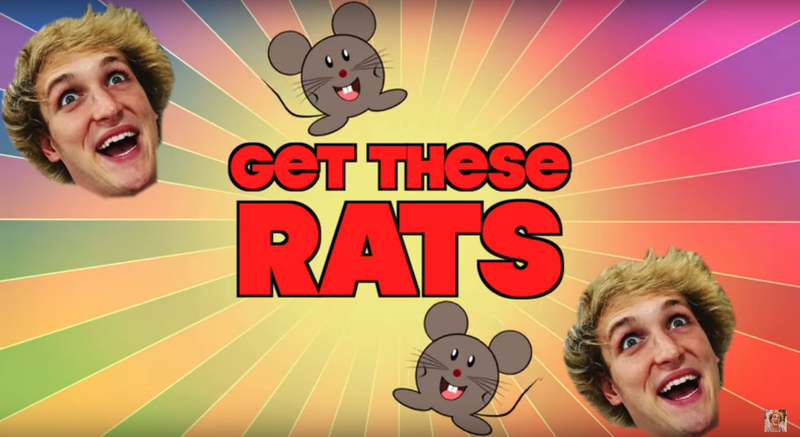 And that leads us to the dead rats, which Logan Paul discovers on his balcony after spending a couple more minutes trying to revive a dead fish in his koi pond. Logan and brother/fellow YouTuber Jake Paul initially task their assistant Lydia Kenney with cleaning up the poor creatures, which get a laugh track every time the camera pans to their bedraggled bodies. Then Logan exclaims, “Wait, are we using weapons for this? !” and pulls a taser out of the waistband of his sweatpants, tasing the animals to the horror of his assembled entourage. No, we don’t know why Logan Paul had a taser in the waistband of his sweatpants. The video is below, although you really don’t need to watch it; if you still feel complelled to do so, the bit with the rats (which, incidentally, has PETA very upset) starts at the 4:20 mark. We’ve also included a link to this article about the Hare checklist for identifying clinical psychopathy, just because it’s interesting.